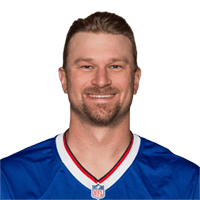 Published: Oct. 5, 2014 at 04:29 p.m.
Buffalo Bills kicker Dan Carpenter nails the 58-yard field goal for the win on the road against the Detroit Lions. Published: Sept. 7, 2014 at 04:31 p.m. Kicker Dan Carpenter moves the Buffalo Bills to 1-0 with the game-winning field goal in overtime, defeating the Chicago Bears 23-20. Published: Oct. 21, 2013 at 06:57 a.m.
(:36) (Field Goal formation) D.Carpenter 31 yard field goal is GOOD, Center-G.Sanborn, Holder-B.Moorman. Published: Dec. 18, 2011 at 05:10 p.m.
D.Carpenter kicks 68 yards from MIA 35 to BUF -3. J.Rogers to MIA 49 for 54 yards (R.Jones).